In terms of progress, women in the workplace are moving in the right direction. Conversely, women are still not receiving equal treatment in the workplace. However, a recent report from the Bureau of Labor Statistics (BLS) shows that the times are showing positive changes. Working off of the most recent data available, the BLS found that employed women between the ages 25 and 64 held a degree 38% of the time in 2012. In 2013, more than half of all associate's, bachelor's, master's and doctoral degrees earned were by women. However, women who served in the armed forces faced a slightly higher level of unemployment (8.3%) to their male counterparts (6.9%). Even when working, women average fewer hours per week while earning an estimated 82% of the wage a male receives. In the medical field, women have reportedly made as low as 71% of their male colleague's salaries. 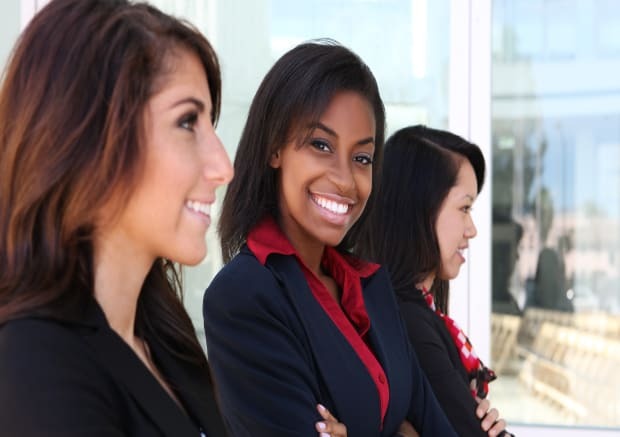 With this knowledge in hand, global business leader IBISWorld worked off the BLS findings and its own database of industry reports to find employment advantages for women in the workforce. These six industries demonstrated unique opportunities and the ability to grow jobs and wealth -- for women and the industry as a whole. Between 2009 and 2013, tire manufacturing grew female jobs by a sizable 16.8%. This may in part be due to women earning the majority of degrees in 2013. While women were continuing to further their education at higher numbers, the demand for skilled workers ballooned in a post-recession workplace. With domestic tire demands taking around two-thirds of the market, and tire shipments increasing 3.3% between 2009-2014, the need for tires doesn't seem to be going away. Over the last four years, the industry has projected to grow by 0.8% with a 6.2% revenue growth. With those kinds of numbers, women should be ready to demonstrate their skills on their way to an average $62,200 a year salary. Women have been the targets of shopping advertisements for a bulk of advertising's career. It's been pretty well established that women tend to hold the buying power in families. It's no surprise why that retail acumen translated to sales positions. They tend to know best when it comes to purchasing. When combining buying power with tech-savvy women, the results can be lucrative for business. With a projected five-year growth of 10.3%, the workforce needed to grow. It's projected that led to a 6.6% growth in employment that comprised of 15.5% women. With an average salary at $69,500 a year, women entering this field should not settle for anything but the top dollar for their expertise. It may be controversial, but it is also enticing for women. The world of oil has been a man's world for most of its history. More affordable research and the demand for new advancements have the industry calling for the best minds around. Environmental controversies aside, women are in demand in oil. By 2013, women's presence in the industry rose by 11.6%, expecting to help push five-year growth numbers to an overall 6.2% increase. Most of the hiring has women taking over the technical aspect of the business. With an average salary in 2013 coming out to $131,800 it's no surprise that both genders are clamoring for jobs in the black gold business. The timing of the medical field's decline in skilled workers couldn't have synced up at a worst time. At the same time, an influx of new patients are seeking care. However, that has become a great thing for new medical professionals. The demand hasn't been this high in years, which is why revenue projects to grow by 3%. In the osteopathic field, women made up 64.5% of graduates. While the average industry wage ($38,400) may not catch your eye, the future might. A woman practicing for five years is expected to earn a salary of at least $100,000. With women seeing a 9.4% increase in hiring over the last five years, the future in optometry is looking bright. This is not as much of a thriving path as the others on the list. For home care providers, the demand is growing even more now that the Baby Boomers are reaching the twilight of their lives. They need care, and as of 2013, 88.2% of the time a woman cared for them. That number has always been high. Though, with a 6.8% increase in females over the last five years, it is apparent this industry is steady for female employment. However, with average salaries at a rather small $25,600, it could be hard to make a living wage. Then again, with low hiring requirements and fees, gaining employment shouldn't come as hard as it may have in some of the previously listed industries. This could serve as a great way for anyone looking to break into the medical field and earn some extra experience on their résumés. Another industry already female dominated, the salon industry saw female employee numbers grow by 6.8% the last five years. The pay ($13,200) and prestige may not rival those in the medical field, but it is consistent growth. With five-year employment growth expected to be around 3.8% and five-year revenue growth at 2.6%, the industry is another stable hiring profession for females. The low salary could turn many away. However, a 2007 study by the Professional Beauty Association showed that women made up 61% of owners in the industry. While an annual income like this won't attract many women, the prospect of becoming the next female entrepreneur might. This is important to remember as it recently has been shown that female entrepreneurs beat their male counterparts when it comes to their happiness.